Viknesh Vijayenthiran February 12, 2018 Comment Now! 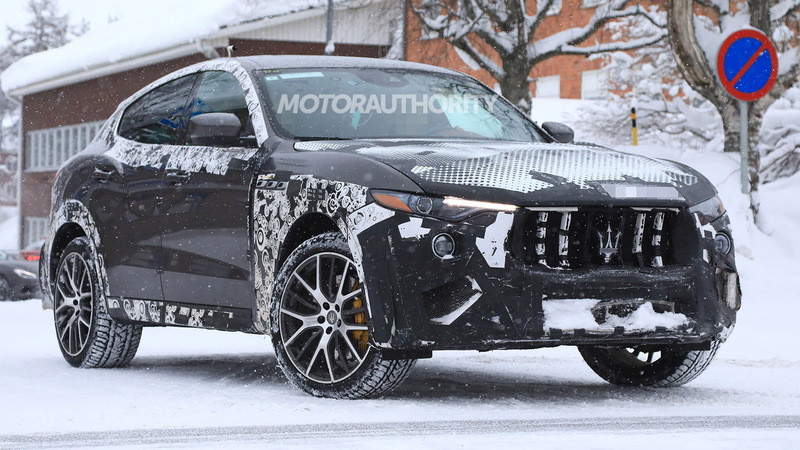 The Maserati Levante currently tops out with the 424-horsepower S but a high-performance GTS is being developed as an alternative to the likes of the BMW X6 M, Mercedes-AMG GLE63 Coupe and Porsche Cayenne Turbo. 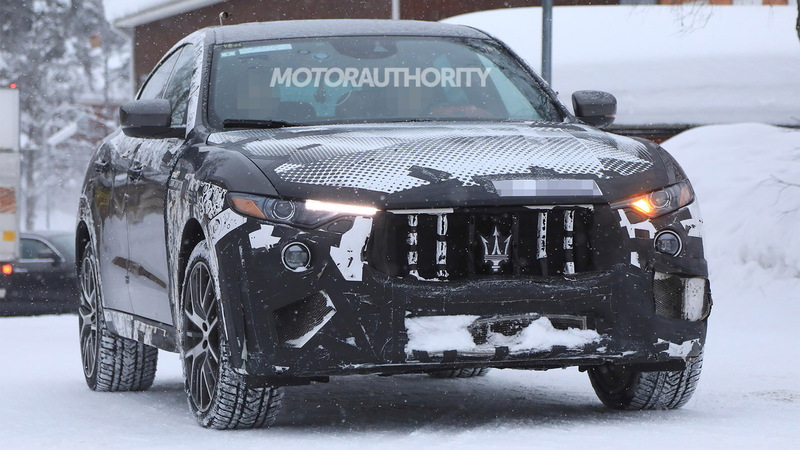 Prototypes for the Levante GTS are already out testing and reveal only subtle changes are in store for the spiciest version of the Italian luxury SUV. The vehicle will come with the 3.8-liter twin-turbocharged V-8 found in the Quattroporte GTS, whose output for the United States is a stout 523 horsepower and 479 pound-feet of torque. A similar output should feature in the Levante GTS. 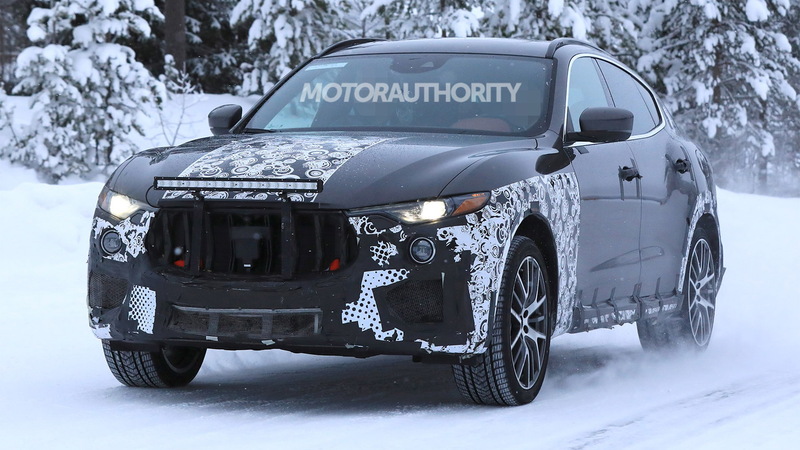 The vehicle should also come with an 8-speed automatic, all-wheel drive, and a host of chassis mods for sportier dynamics than what the Levante S offers. Here we see what looks to be uprated brakes. 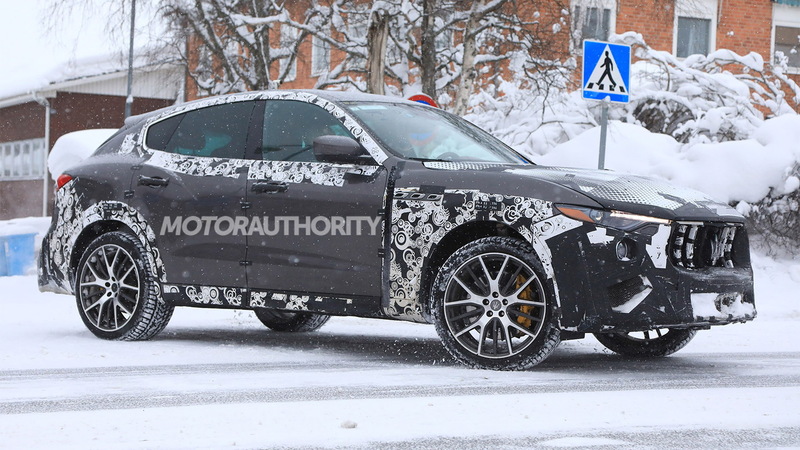 Beyond the Levante GTS, we should see a Levante plug-in hybrid join the fold. The gasoline-electric SUV was confirmed by former Maserati CEO Harald Wester a year ago and is expected to feature the same setup found in the Chrysler Pacifica Hybrid. The setup consists of a 3.6-liter V-6 paired with a dual-motor transmission. Powering the electric motors is a 16-kilowatt-hour lithium-ion which enables the Pacifica to travel up to 30 miles on electric power alone. 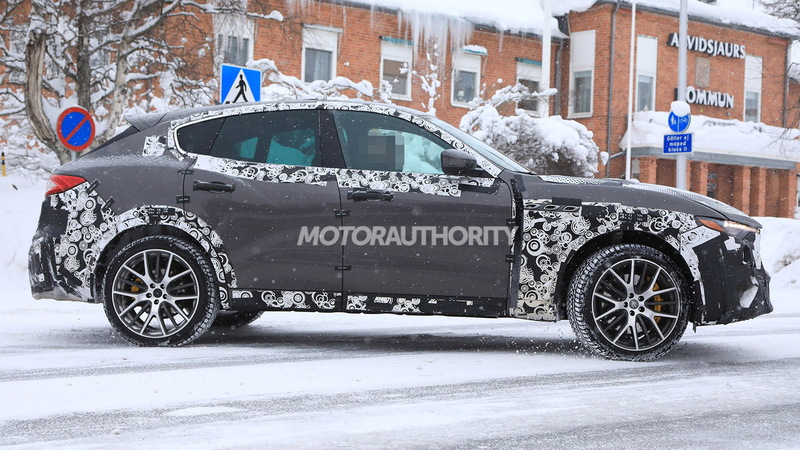 The Levante plug-in hybrid should deliver similar performance. The addition of the Levante plug-in hybrid is part of Maserati’s plan to transform its lineup into a fully electrified one starting from the 2019 model year. As part of the plan, Maserati is also thought to be readying an electric car based on its Alfieri sports car concept unveiled in 2014.